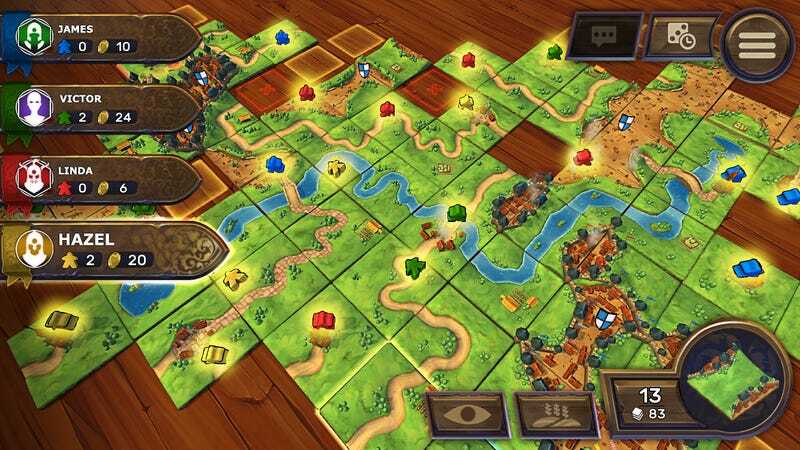 Your “port everything to the Switch” jokes might soon extend to board games as well, with publishing giant Asmodee announcing that the classic Carcassonne is headed to Nintendo’s latest console. It’s not the first board game to appear on the system—who could forget Monopoly—but Carcassonne is important for a couple of reasons. For starters, it’s a better game, but it’s also key that it’s coming from Asmodee’s digital branch, which is also home to computerised versions of everything from Ticket to Ride to Terraforming Mars to Scythe. Indeed, Asmodee Digital’s CEO Pierre Ortolan says “Carcassonne is the first Asmodee Digital title of many to follow on Nintendo’s platforms”. Ticket to Ride with my kids on this thing would be so good. Carcassonne will be out on Switch in Winter 2018.